Delivery from £6.50 to United Kingdom in 5 - 11 working days. Tree growth rings illustration by Jacob Pugh. 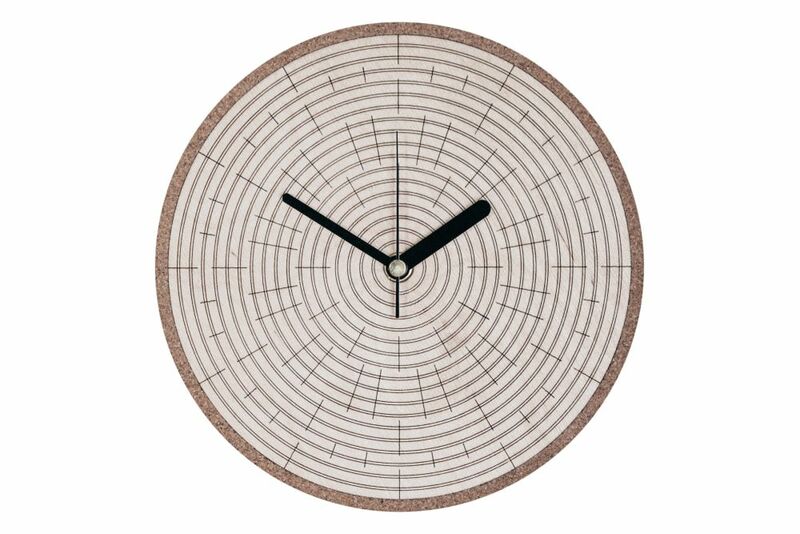 The clock is laser etched on birch plywood, set into a solid cork clock body.